I have hellebores in the same state of "decay" and I find them quite beautiful. The rhodendron is quite 'girly' and so unlike you, but I bet it fits in quite nicely in your garden. On your question of what do I use to hold up my shrub clematis... I use one of those metal hoop flower-holder-upper-things, and in fact just bought a bigger one, the size used for peonies, because my shrub clematis is getting pretty big. 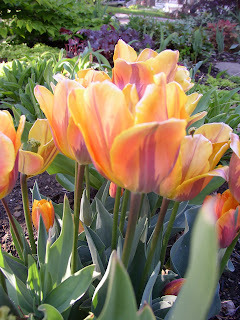 I love seeing gardens in May and enjoyed my virtual tour through yours! Kim, Ajuga never looks as good anywhere else as it does in your garden. That Lewisia's on steroids. Your acer + oregano + tulips (that match the acer) is fracking brilliant and inspiring--bravo. I like that geraneum--we have a similar one out here whose name I don't recall. Its masses of dark flowers stand out near grays. If my chives had as many flowers as yours I would enjoy them more. Instead, I'll enjoy my onion and shallot flowers--because they went to seed before I harvested them and I won't get to enjoy them on my plate. Happy spring to you. Happy Bloom Day to you. Your photo's look intriguing, not just head on blooms. Well done. And....you don't know how lucky you are having Bergenia leaves without holes. I can't find a single unscathed one amongst dozens of clumps. 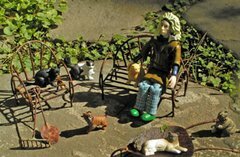 Beautiful images of your garden..I looked back at your past posts and enjoyed seeeing the cat photos! Happy gardening! Kim, you have captured your garden so well - I feel as if I've really been there. I agree with you about the Hellebore - it does look beautiful even now. 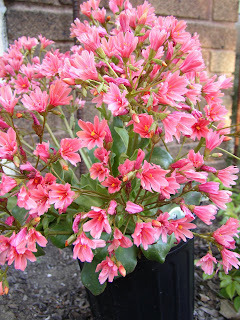 And the Lewisia - no wonder you fell for that! I did so very much enjoy your post. Your theory of complaint and plant reaction seems a truism in my garden. Fascinating, like an under performing employee being put on notice! Just this morning I had a big conversation with Amsonia! We'll have to see...next year! Have a great Bloom Day. You have quite an assortment! 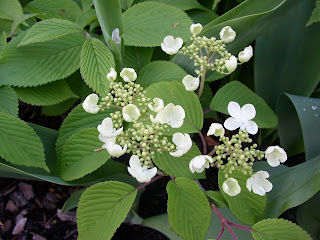 I like the viburnum and the ajuga. You can never have too many viburnums! Beautiful blooms. Such wonderful plants most that I have never seen before. 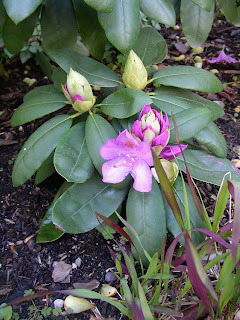 And yes, the rhodie is pretty girly... but it was here when I moved in. And I like its thick leaves, so I'm trying to make friends with its girliness. lol. chuck b., awww... thanks for the compliment on the ajuga! 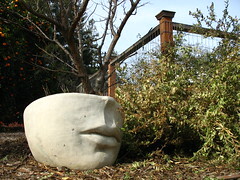 I don't know why--it shouldn't like my dry garden. But I'm not complaining. The lewisia IS on steroids, isn't it? I hope that I get half that much bloom next year--I'm planting it partially under the overhang of the porch to help even more with drainage. 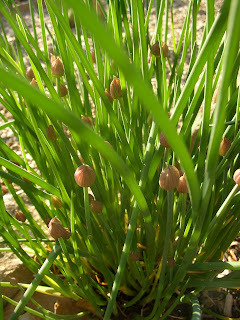 And I love the chive flowers--are onion and shallot flowers just as pretty? 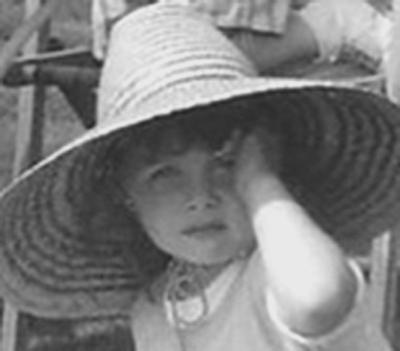 Naturegirl, thanks! That cute cat is helping me get around to filling in the front garden with groundcovers... because he digs wherever there is open ground. Thank you, Katarina! I definitely fell hard for that lewisia--I'll have to show a pic of it planted soon. It picks up some of the color from the peachy-leaf coralbells rather nicely. Gail, that's a very apt comparison! Now that you say that, I believe that I have a few more plants that need to be "put on notice" around here... lol. I can't wait to see how your amsonia shapes up next year. Dave, if I had a few acres I would definitely have too many viburnums planted at my place! ;) I just love them, but I keep thinking that I ought to pull out the doublefile and replace it with something less water-sensitive. I simply cannot seem to do it. Vanillalotus, that makes me feel good... because usually, I'm saying things like that about the wonderful warm gardens you all grow down there in Texas! What unusual blooms. The black tulips are similar to the Queen of the Night ones I see around Oxford, England. 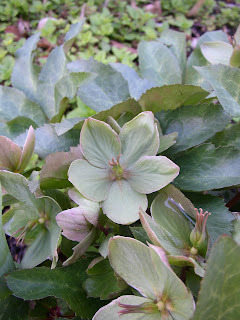 I love Hellebore flowers as they fade and I love the seedpods afterward just as much or more. Takes me forever to reluctantly admit that maybe they should be chopped. Really like the way that golden oregano sets up a dialogue with the maple et al. Makes me think mine need some company. Also like your lists as supplement to the photos; wish I'd done that rather than leave out so many plants. Next month, I guess. Sarah Laurence, they definitely are dark, aren't they? The "unnamed dark purple" and 'Black Hero' were tulips that I bought two years ago after 'Queen of the Night' were sold out at my local garden center. 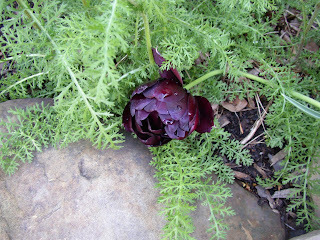 This year, I did enjoy some 'Queen of the Night' in my own garden, though. 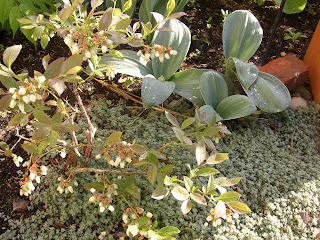 I LOVE that golden oregano as a groundcover. In the summer it turns more like a chartreuse green, but in the spring it's a beautiful gold. And it spreads at just the right speed for where I have it. 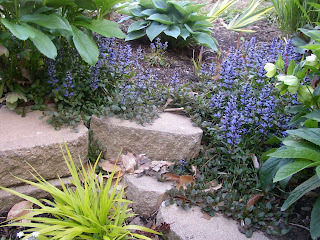 Your ajuga looks fantastic--I always tuck that in everywhere I can find a place that needs a good groundcover and spring color. Lovely! And I know what you mean about plants in nursery pots. The only things blooming in my brand-new garden are things that came from the nursery, and I'm fairly certain they wouldn't normally be blooming now, so I'm out another month. Sigh! Fancy a spot of tiptoe-ing? I couldn't help but smile to myself at the notion you may be coming around to enjoy pink flowers. In fact, I thought of you when I bought my annuals, especially the coleus with the hot pink middle! ;-) I just love your garden, so colorful...always! Cottage Magpie, I do that with the ajuga, too! It's nice that it has a darker leaf so you get some interest after it's done blooming as well. I need all of the help I can get color-wise. :) Speaking of color, I have to say that although I often feel like I am not qualified to comment on your blog, I love your posts about color and interior design. Very fun! 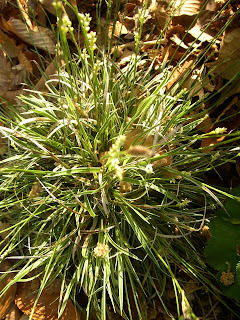 Carex Beatlemania! ?...must check that out! 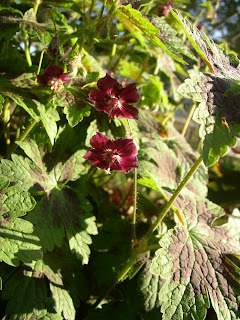 And count me in with those who like the geranium phaeum Samobor...I had one but it's gone...next time I find an empty spot I might need another! The hero resting on the rock was my favorite, but I could also get to like Lewisia, Kim! When I couldn't get Queen of the Night one year I bought Negrita instead which was still very pretty but not as dark. It was like eating an apple when you want a Dove Dark... no matter how good the apple tastes, you still want that chocolate. The Ivory Prince does hold up well! I like how the Samobor geranium does its own color echo thing between the flowers and the leaves. But, hey, I have to quibble about 'Geranium' narcissus being less showy than others. Give it a few years to make some nice-sized clumps with big flower clusters. They'll definitely get noticed. You'll never miss the ones you ripped out. ;-) But I wonder why they named it 'Geranium'? 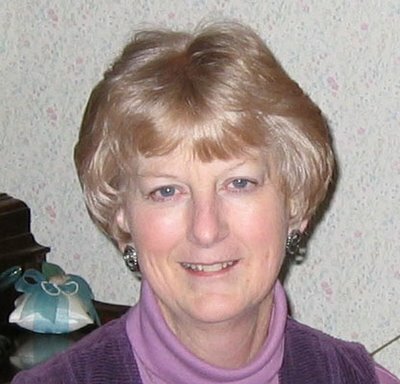 Wonderful things blooming in your garden, Kim! Many of the same things here, but I still need to find some 'Samobor'. Beining's didn't have it, but you MUST make a trip there when you get home again. I've never seen them look so good with so many things this year. I'm jealous of your 'Efanthia.' Neither Mom's nor mine made it through the winter. :-( Must be marginal for us, because the other Euphorbias made it just fine. Now, how do you have time to post a whole list of blooming plants? Wow. I could, I suppose--I have like 6 things blooming, that's it. Nice post! I like my 'Samobor', took some photos of it a few days ago that could have been better, went out today to do some retakes and the dastardly bunnies ate all of the blooms....grrrrrr. The range of what you can grow amazes me! I have two struggling blueberries that are supposedly hybrids that can take the heat in So Cal, but they look so exhausted already and summer is only beginning. Yours looks delicious. Perhaps mine made berries too, but the birds took them before I even noticed them. I'm grinning at your comparison, Annie. Makes perfect sense to me! 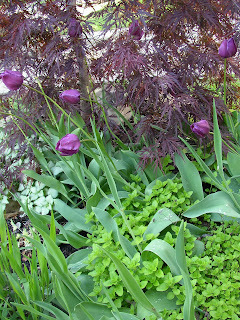 And thanks for the tip about Negrita--I'm really liking these dark tulips and may add a few different kinds next year. Entangled, you're so right, it is its own color echo! I also have it next to 'Othello' ligularia, so there is lots of beautiful dark-leaf-ness all around. Kylee, if mine gets big enough to divide I will gladly share! Sorry to hear about your Efanthia... I wonder if drainage is the key to its winter hardiness? Where my struggling one is, lots of snow sat this winter so it would have been unfortunately soggy. Hmm. Oh, and Beining's sounds like a definite plan. Thanks, Weeping Sore! I admit that I might push the boundaries a little bit on some things. The first couple of years I had my blueberry bushes, they didn't do a whole lot, so if yours are still young 'uns I wouldn't give up just yet! Nice collection of stuff. I have to transplant 10 eight foot tall Doublefiles this year. They just get too big in most spots. The Lewsia likes gritty soil and a gravel collar to prevent collar rot. Also plant it at an angle to stop water collecting in the center. It is a wonderful flower but can be a little difficult. I've never seen a Lewisia with that many bloom on it - how cool is that. I love Allium karataviense- well, all Alliums I guess. Your garden must be awash in colour ... June bloom day will be a treat. Thank you, Digital Flower Pictures. I think that the soil where the lewisia is should be okay, and the plant is elevated but I'll have to check tomorrow and see if I need to tilt it a bit per your instructions. And I'll definitely add the gravel collar either way. I've seen pictures of doublefiles artfully pruned to keep them short without losing the wonderful horizontal branching... I'm going to try to keep up with that on this one. I'd like it to stay around 4ft tall, max. I love all alliums, too, I think. With the possible exception of allium moly... I can't seem to work around that color in the garden for some reason. So. I researched my "purple leaf wintercreepers" and as it turns out, I was dead wrong! What I had *all along* was hellebore, Ivory Prince. So, thanks. I freaking love those little guys. They are definitely male, no? I know they are all gorgeous and feminine, but I still think they are like drag queen flowers....I mean, evergreen and subtle, timeless. love them. Oh my God, your levisia is amazing! dig this chick, YAY! What a great surprise... they definitely are male, by the way. And I love those little guys, too. Thanks, Ewa! It's cheating to show this one, though. It's too fresh-from-the-nursery for me to take any "credit" for it. lol. Beautiful flowers and Beautiful photographs! You had quite a day out there, enjoying your gardens and photographing them. :-) Thanks for sharing!! I missed your bloom day post..shame on me! 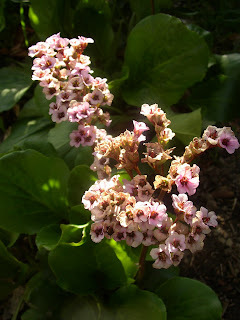 What a happy surprise that the 'bad Bergenia' has come good. I must start abusing my Hellebore. Perhaps it'll grow bigger, faster :) I'm so happy that it's still alive. Love that Lewisia. How pretty! 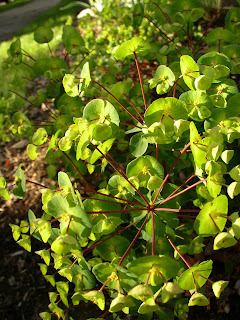 I have a nice dark-leaved euphorbia that has proven to be hardy. It sewed itself from a container, probably with help from the birds, or something, into a nearby garden...a nice little bonus! I love the color of 'Samobor'!